Our database contains a registry of public accountants across Colorado. 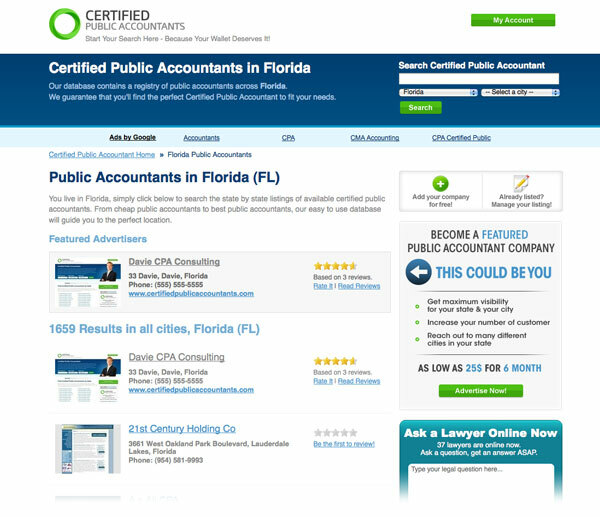 Search the listings of Certified Public Accountants in Colorado. We have a complete list of CPA's available in Colorado. Review their services and if you have used them before add your own accountant review. Cha, James M., CPA & Company, Professional Corporation.